A small and compact breed, the Norfolk Terrier has a charming and sometimes bewildered appearance. This small breed weighs around 11-15 pounds, and reaches between 8-10 inches tall. The Norfolk Terrier is straight, messy, and coarse texture that is around 2 inches long. It is structured to keep these terriers insulated. 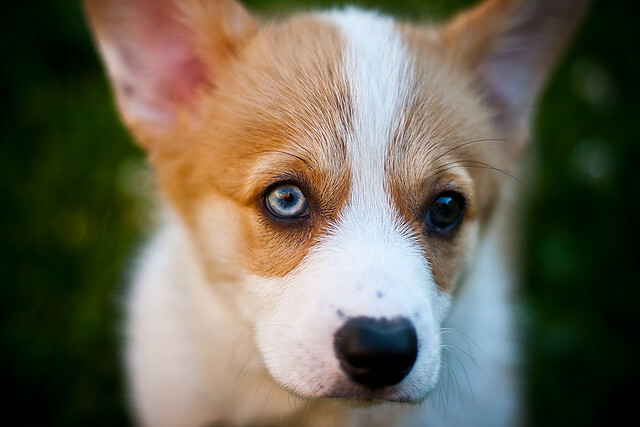 This double-coated breed has a coarse and waterproof topcoat and thick and dense inner coat. Their coat color comes in wheat, grizzle, red, and black and tan. 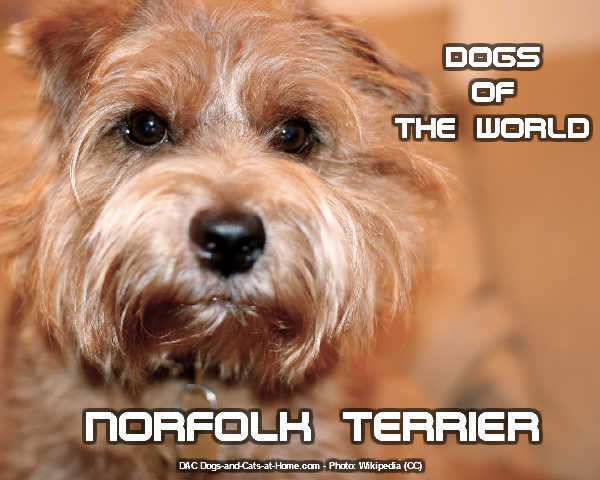 The Norfolk Terrier is quite energetic, and loves playing ball or going on walks with their family. They are known to tolerate all kinds of weather. These terriers enjoy digging holes in the backyard, so owners should always be on guard with this trait. They will do great in apartment dwellings, and will be happy to travel in a car. Norfolk Terriers are fearless, but never aggressive despite being able to defend themselves when the situation calls for it. They get along well with Border Terriers, and Norwich Terriers, having the softest of temperaments among the Terrier Group. These dogs work in pack, and should get along well with other dogs. As companions, they love being around people and will make excellent pets. Their energy level is reflective depending on the pace of their environment. They should never be kept outdoors due to the fact that they thrive on human interaction. These terriers are known barkers, making them excellent alarm dogs. These terriers can generally live with other household pets when raised alongside them. This self-confident little dog is very confident, and will carry themselves with importance, having their head up high with tails erect. These Norfolk Terriers are generally happy, spirited, and lively. Small, alert, and hardy little dog, the Norfolk Terrier has been originally bred to catch a fox and go after vermin. This evenly tempered fearless dog has sporting instinct. The Norfolk Terrier should be combed and brushed once or twice weekly, paying extra attention to the mustache and beard, which more often get dirty. Their coats shed little, and will require hand plucking twice in a year. The hair between the pads of their feet should be trimmed. This low-shedding breed is considered hypoallergenic, and will be suitable for people with allergies. Norfolk Terriers are intelligent and will often quickly acquire bad habits, just as they would in learning positive habits. Consistent and varying training routines are crucial for this breed to avoid boredom and non-compliance. This breed will do best with positive rewards and a lot of praise. Ignoring the bad behavior of this breed is a great way to eliminate the bad ones. The brave little Norfolk Terrier is known to be very defensive of its family and territory. They generally get along well with other dogs, and make excellent family pet. This breed is easy going and enjoys being the center of attention. These affectionate breed is at their happiest when they are with their owners. They should never be left alone for extended periods of time as this will cause depression. 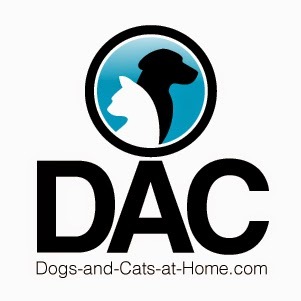 To find American bulldog puppies for sale and other high quality breeds, please visit http://www.11-peaks.com.